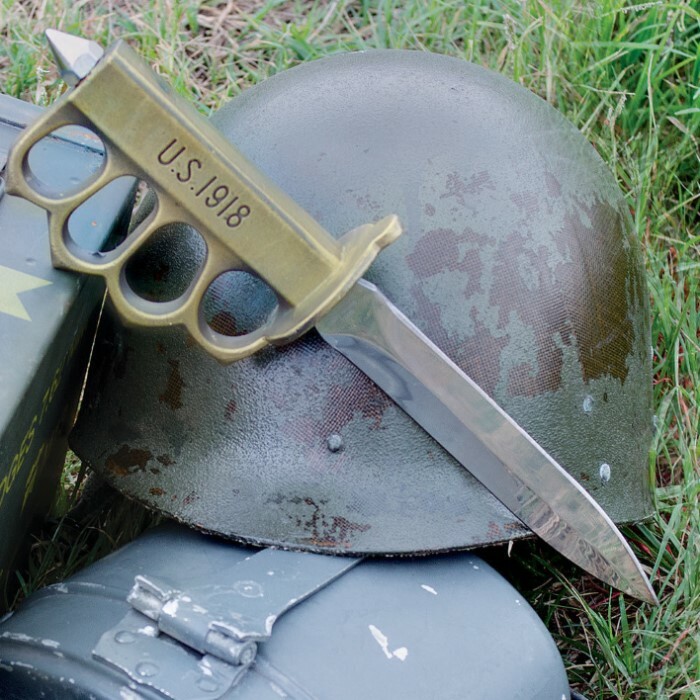 This 1918 WWI replica trench knife is an exact copy of the trusty blade issued to troops during the First World War. 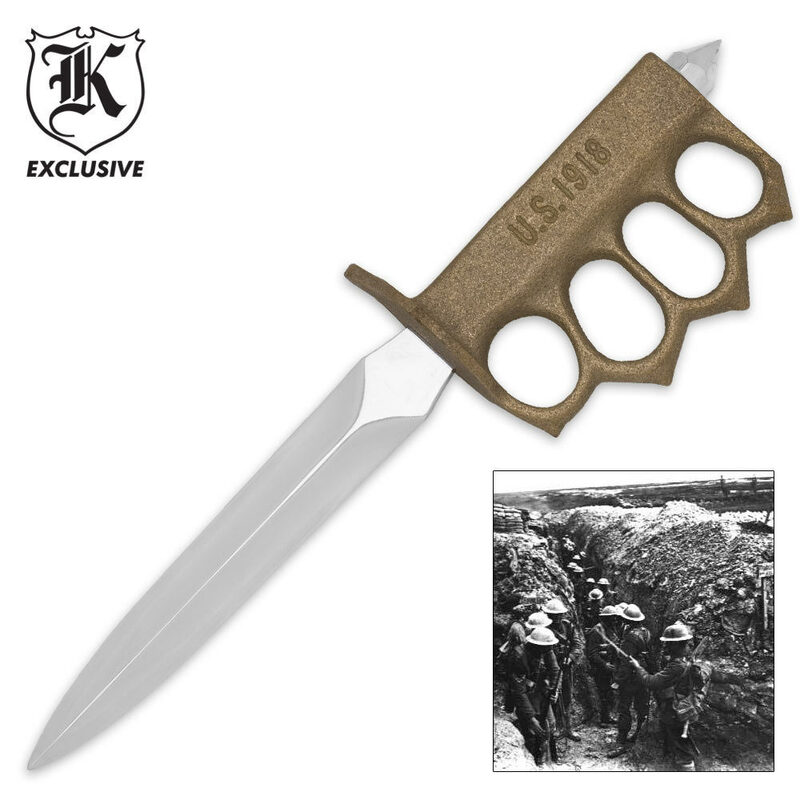 Since trench warfare consisted of such gruesome, close-quarter battles, the trench knife allowed soldiers to not only stab but also bludgeon enemies with the knuckle guard handle. The 6 3/8" AUS-6 stainless steel blade has a double-edge. The heavy duty handle also has a skull crusher. 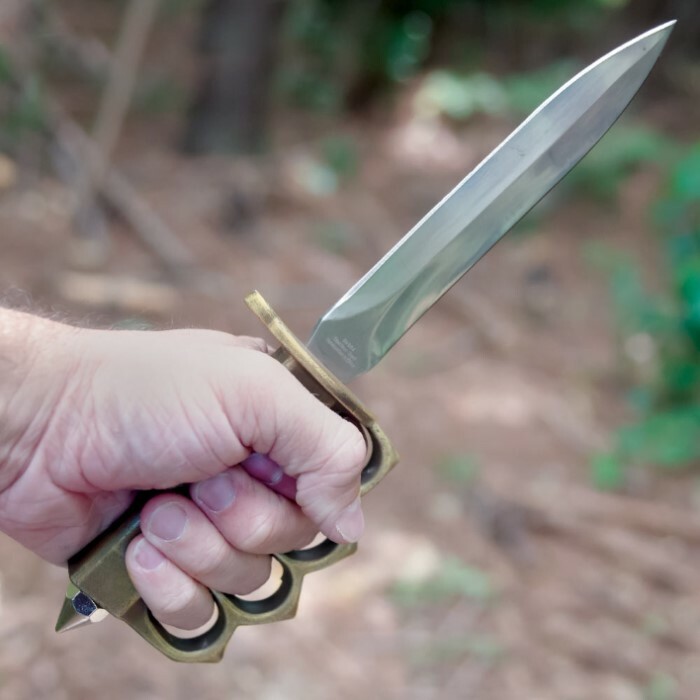 The trench knife is 11" in overall length. Good enough for it's job. "Not Sharp, Fingers Don't Fit"